Thank you for choosing our office to help meet your endodontic needs. If you are visiting us, it probably means that you were told that you need a root canal. Well, don't be nervous. We pride ourselves in making your care relaxed and comfortable. We are here to help. We are an endodontic speciality practice dedicated to exceptional care using state of the art technology. Our goal is to make no compromises in the quality of your evaluation and treatment. We will treat you with compassion, making sure you are comfortable every step of the way. We will spend as much time as needed to obtain the highest quality result. Finally, we will use the safest, state of the art technology and advanced techniques to ensure success and maximize your comfort. Our office is designed with your comfort in mind and we have created a tranquil, welcoming environment to help you feel at ease. Please explore our webpage to learn more about us. 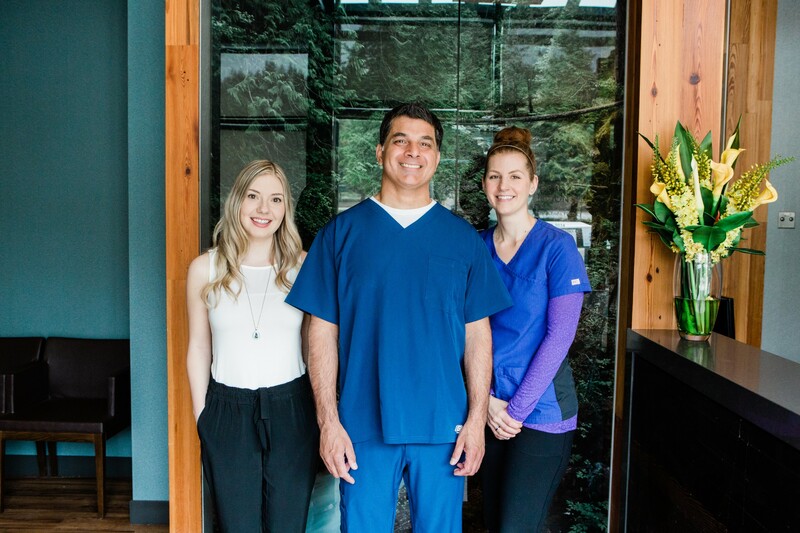 If you are a new patient or a referring dentist, please call our office at 604-492-3034 to obtain your login information. These are founding principles of our office. We are committed to excellence in every sense. We are a quality centered office committed to caring for our patients and providing the highest level of service and care possible. My office is designed with the latest technology in our field. I will utilize a dental operating microscope which is central to the practice of competent clinical endoodontics, and without it, I cannot provide the best possible care for the patient. The microscope provides increased magnification and lighting for all procedures. This allows us to work very precisely and efficiently, so that we can provide high quality treatment. I utilize digital cameras with my microscope to take photographs of every case. I am very passionate about photography. These highly detailed photographs will help educate both you and your referring dentist, on the treatment that was rendered to you. My office is setup with the very best radiographic imaging in dentistry. Digital radiograph sensors are used to take x-rays and this has several advantages. The image quality produced is excellent, while the radiation dose is greatly reduced compared to conventional non-digital x-rays. In addition, no developing of the x-rays is required and the images are available to view on our computer monitors just in a few seconds. I will spend the time to discuss your x-rays with you so you understand any potential problems that may exist. To supplement the conventional x-rays, I utilize a cone beam computed tomography scanner (or CBCT) to take very powerful 3-D images when needed. This unit allows me to see your teeth and surrounding bone in greater detail, which aids in diagnosis as well as during treatment. Once again these images can be displayed on our computer monitor and I can show you the various aspects of the imaging to allow you to visualize any issues with your teeth. In addition, if you or your dentist would like a copy of the 3-D imaging, we can quickly make you a disc with the images available to view at anytime. We are committed to providing the highest quality care possible for you as that is what you deserve. We are continually striving to improve as we feel you the patient deserves the very best from us. Focused field cone beam computerized tomography (CBCT) allows complete visualization in all three planes of the tooth/bone with ultra low radiation. A typical CBCT scan produces about the same amount of radiation as 3 digital dental x-rays. 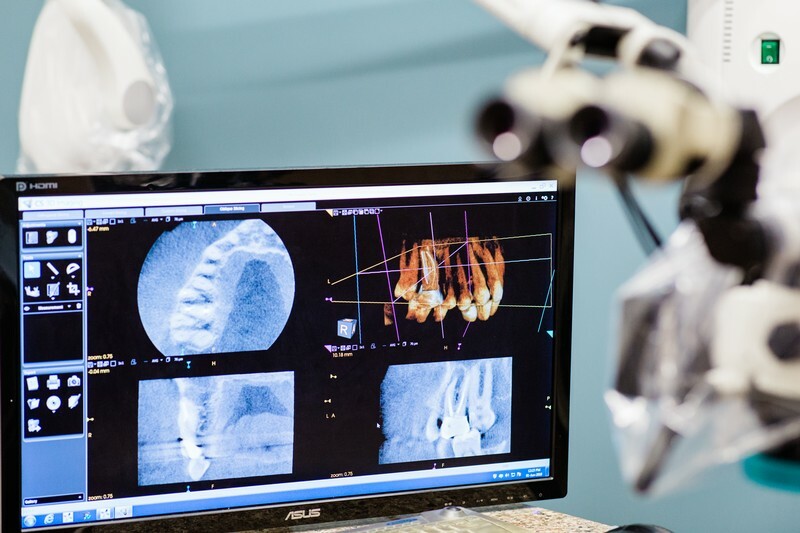 Although much information can be obtained from a quick glance at a 2 dimensional radiograph, a CBCT 3 dimensional scan must be properly oriented and manipulated to be able to extract the valuable information from it. 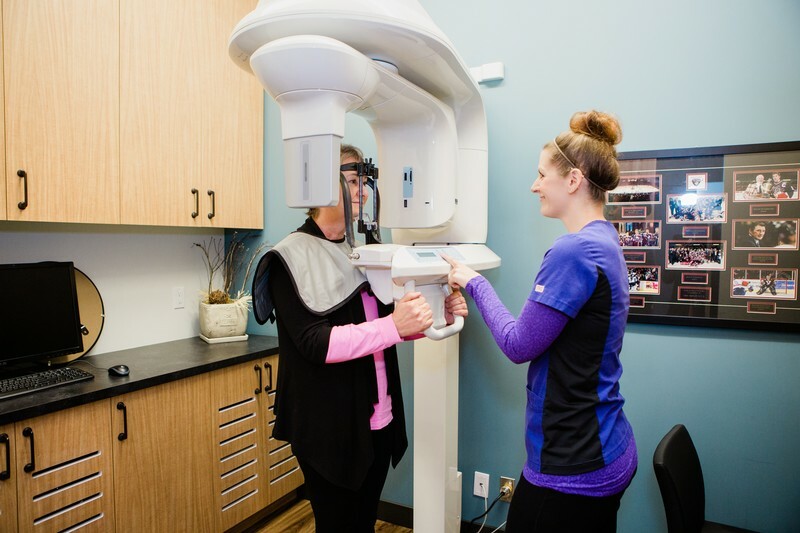 Dr. Parhar has been using CBCT imaging for 8 years and has a great deal of experience in understanding the imaging, which is paramount to gaining accurate information to aid in diagnosis and treatment. He is constantly updating his knowledge base for CBCT imaging by partaking in advanced courses.